In 2006, a postgraduate program in maritime archaeology was established at the University of Southern Denmark. Based in Esbjerg, on the west coast of the Jutland Peninsula in southwestern Denmark, it is a one-of-a-kind university program in this centuries-old seafaring nation. The program is designed for students who want to pursue a professional career in maritime archaeology and heritage management. Divers build a frame, which they will later bring to the surface with the help of a lift bag. Photo courtesy of the Maritime Archaeology Program at the University of Southern Denmark. The great advantage of this unique postgraduate program, compared to others worldwide, is the practical training students receive in underwater archaeology. Students have the opportunity to obtain an internationally-recognized commercial diving qualification at very low cost. The dive center of the Maritime Archaeology Program is approved by the Danish Maritime Authority, and it can issue the Danish commercial scuba diver certificate. The teaching faculty of the program, all actively involved in different fields of maritime archaeology and diving, have created a vibrant and dynamic learning environment. With their supervisory and teaching expertise, they bring the latest cutting-edge developments, techniques and research to courses and training. The program is international and conducted in English, and as education is free in Denmark, the students coming from European Union/EEA countries are not required to pay tuition fees. Only students from outside the EU/ EEA are charged an annual tuition fee. 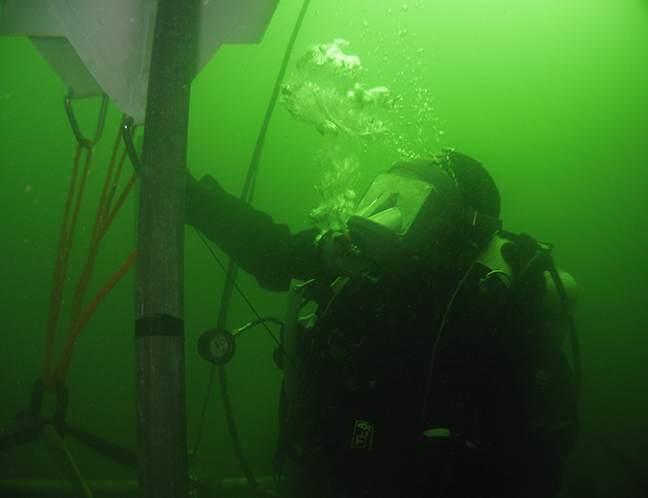 The commercial diver training center is a part of the Maritime Archaeology Program. Since 2014, in cooperation with the Department of Biology at the University of Southern Denmark, the dive center has offered dive training in the city of Odense to students of biology. Those who successfully complete the dive course obtain the Danish commercial scuba diving qualification. This qualification entitles divers to work in depths of up to 30m using scuba equipment. The commercial diving school is an associate member of the International Diving Schools Association (IDSA). The center is also approved for teaching Diving First Aid courses and Diving First Aid Refresher courses for students at the University of Southern Denmark and external participants. Candidate divers have to be at least 18 years old and must pass a medical examination, performed by an approved hyperbaric physician, as well as a fitness test. Prior diving experience is not required. The dive course is an intensive five-week course, with the fifth week being devoted to examinations, and takes place in a range of different locations in Denmark and Germany. The students are introduced to basic dive theory, such as dive physics and physiology, dive equipment, underwater work and diving hazards, dive planning and management, diving first aid, and diving legislation. The initial practical training commences in benign pool conditions where the students develop their basic underwater and scuba equipment skills. The open water training starts in the second week of training and, in general, takes place in Denmark and Germany. During the third week, the class travels to Kreidesee, Hemmoor, a water-filled quarry in Northern Germany. This is where the students will familiarize themselves with dives to greater depths and simulated decompression stops, while further building their confidence in the underwater environment. The practical training resumes in Denmark (in the Little Belt near Fredericia) for the final week, where the candidate divers will continue enhancing their underwater skills. During these four weeks of theoretical and practical training, they will practice several tasks including underwater navigation and diver searches, emergency procedures, lifting operations, underwater construction and rigging, as well as techniques and methodologies related to maritime archaeology and marine biology. The diversity of training topics in a variety of locations provides the students with a solid hands-on training in different underwater conditions, such as poor visibility and currents. The fifth week is devoted to final examinations, which include written, practical and oral exams. The candidates are examined by the center’s instructors and an external censor appointed by the Danish Maritime Authority.